When you move from a house to a condominium, the amount of space can be shocking. Even though a condominium is a more luxurious version of an apartment, it is still tricky to decorate. If you’re on a budget but want to live in a prestigious condo, you can click this to see the best floorplan prices. Once you’re all set, all that’s left to do is to figure out how to make your condo look expensive and comfortable. Here are a few tips on how you can decorate a condominium. The one benefit you can get from decorating a condo is that it’s really easy to plan what you can decorate. Visit your condo’s space and take time to plan out where you want things to be placed. Decide on which room you want as a bedroom, which area would be the living room, etc. After that, you can start deciding on the color palette of each room. You can even hire an interior designer to sketch you some designs for inspiration. Condos usually come with big, wall windows. This is to provide more space to the room so that your condo looks bigger than it is. Try to let at least one large part of the window free of furniture blocking it, to serve its purpose and make the room look bigger. Decorate it with a curtain to your taste, but avoid heavy curtains that will cover your windows all day. When you stick to a color palette, everything will look monotonic. This is pleasing for some people, but for a lot of people, it is very dull. You can spice things up by adding in accessories with contrasting colors. It doesn’t have to be anything big; it could be bright red candles or a striking orange tissue box. These little things will add life to your condo. Another thing that can make your condo look more alive is art and paintings. We don’t recommend you to pile on a bunch of paintings all over your condo, and it would be too much. Invest in one to three large and beautiful paintings, and place them as the center focus of the room. You can put it on an empty wall and decorate around it so that the furniture complements the painting. Those of us that are looking to make something out of their lives are planning to do so by owning properties. Being a huge leap, so much needs to be done to ensure that it is undertaken in the right way. Condos in Toronto have been on most people’s lips for the longest time now and are not about to fade away anytime soon. This is so because the developers and architects behind this Toronto development are both innovative and authentic. We are just about to tackle some interesting features on the great condo designs in Toronto, Canada for 2018. You will never really come to realize what is out there unless you become aggressive. Sources on the latest and greatest condo designs are everywhere around us just waiting to be read. Looking out for the latest features will enable you to take your place at the forefront of elegant condo designs. So much mystery has been unraveled in the recent past regarding how the condo business operates, especially in Canada. In turn, the interested and affected parties have had so much to gain. This year, the condo designers have decided to have a unique outlook on what their upcoming designs should look like. Since clients are the determining factor, their feedback matters a great deal. Most of them are of the opinion that scenery needs to be given ample time. Past condo designs have not been given much thought especially on the side of scenery. Being a new year, beautiful scenery in condos is yet to be implemented much to the satisfaction of die-hard clients. Condo designs for this year are based on the total surroundings of the preferred location. No one would fancy moving into a condo that is miles away from the rest of the world. Think about it, no recreational facilities, no banking facilities or medical institutions. It would definitely be unbearable, and no one would last a week in this kind of condition. The most significant designs this year will tackle matters such as these and put an end to the doubts that creep up in clients’ minds. No matter how hard we try, it’s just not possible to run away from the enticing jaws of technology. Ever since we heard from the expert condo designers, our minds are switched to the technology-based designs that the year holds for us. Judging from the smooth sail of the housing industry, technology is set to take the condo designs to a whole new level. The features used in the designs are taking uniqueness and elegance to a whole new level. You might want to follow it up and see where it leads you. This just sounds like music to most of our ears. Imagine walking into a condo that is tastefully furnished to suit your standards. 2018 has so much in store for us including a variety of fully furnished condos for you to choose from. Take advantage of it, and you will leave to relish this thought for the rest of your life. Housing is a major investment in most parts of the world. It is no wonder most companies are giving it a top priority to boost their ratings. The only way to take it more serious is by finding out all there is to know about it. Condominiums have taken the world by storm with their fascinating and towering architecture. 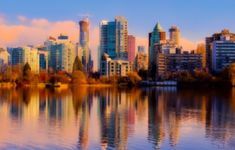 Canada is one of the countries in the world that has made a serious investment in condos and they don’t plan to stop anytime soon. After having been in the business for years on end, they are ready to launch new investments in condominiums as soon as 2018. No one takes the condo business as seriously as our Canadian brothers and sisters. It is no wonder they are one of the leading condominium architects in the whole world. Just to be fair, they have invested quite a lot for them to earn this great title. It has never been this glorious since the inception of various housing products. This year, the condominium lovers have a lot to look forward to. With all the fascinating ideas, the condo industry will assume a totally different outlook this year. This year it is all about doing something different. Launching new and fresh products that no one has seen or heard before. There has never been an air of positiveness as there is now. Investors and the fraternity involved are no longer worried about capital. In fact, they have matured to the level of worrying about the various types of inputs they get from different angles. The year is still fresh and the experts are more than enthusiastic about what the parties involved have to contribute. As we have tackled, this year is all about new beginnings. Clients want nothing more than a unique twist to the turn of events in the condo business. Which is why the condo experts are working round the clock to ensure they meet their clients’ demands. This means that newer designs have to be launched to build the confidence of condo enthusiasts. They could be inspired by a variety of factors including the nearby surroundings. Nothing great is ever achieved without the presence of diverse challenges. Even in the face of challenges, it is always good to remain focused. This couldn’t be truer in the condominium industry. So much has been happening over the years that has damned the developers to the same design and outlook every year. For example, coming up with a design only for some other building to end up looking just like it. Uniqueness does becoming a raging challenge in most cases. The condominium market is flooded with characters and ideas of all kinds. Which is why the stakeholders and shareholders are required to constantly be on the lookout for upcoming projects. What’s more, investments are set to cause a positive stir in the sector of condominiums. There are many ways to get involved especially from the sidelines. Get close to sources of all kinds including the Internet.